I have a confession to make. Weather like this (rain, wind, etc) sometimes really makes it hard for me to get out of bed in the morning. It’s something about the warmth of your bed and then the thought of getting cold when having to get up. 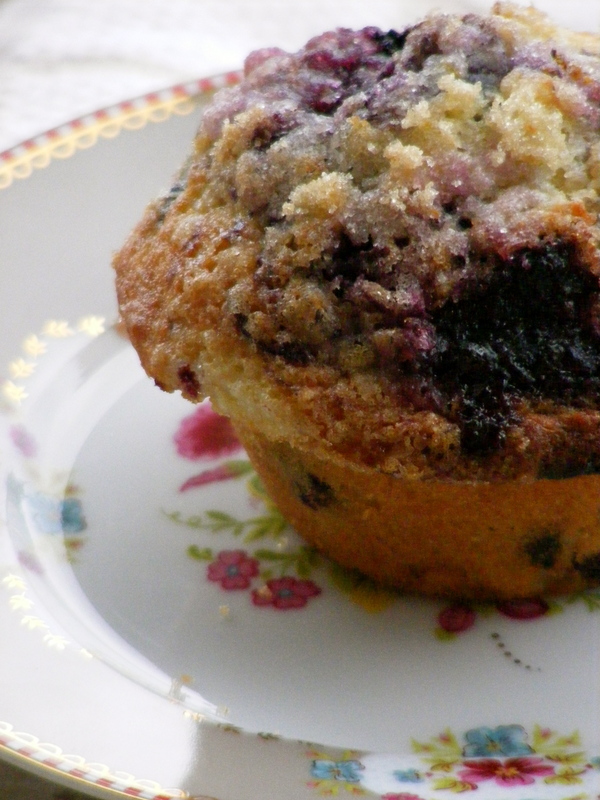 Of course some breakfast foods make the process so much easier 🙂 Blueberry muffins are one of these foods. The smell that fills the house when they’re baking, is just wonderful. Who wouldn’t get out of bed for that, right? I like them best straight out of the oven with a bit of margarine spread in between. The bit of saltiness from the margarine blends beautifully with the sweetness of the blueberries and the crunchy lemon sugar topping. Paired with a hot cup of coffee or tea, they make for the perfect breakfast. This actually reminds me of a rhyme my grandmother taught me. It goes like this ‘Blueberry muffins (insert any food) are the finest of breakfasts, I think. And when I grow up and can have what I please, I think I shall always insist upon these.’ Isn’t it cute? Blueberries are one of my favorite fruits, though they can be quite addictive when eating handfuls at a time. I remember when we (my sister, mom and I) lived in the States with my aunt and uncle (a long time ago…). My auntie used to get two pints of blueberries at the supermarket. They never lasted more than a day at our house. Usually eaten fresh,though they also went into blueberry pancakes or muffins on Saturday mornings. 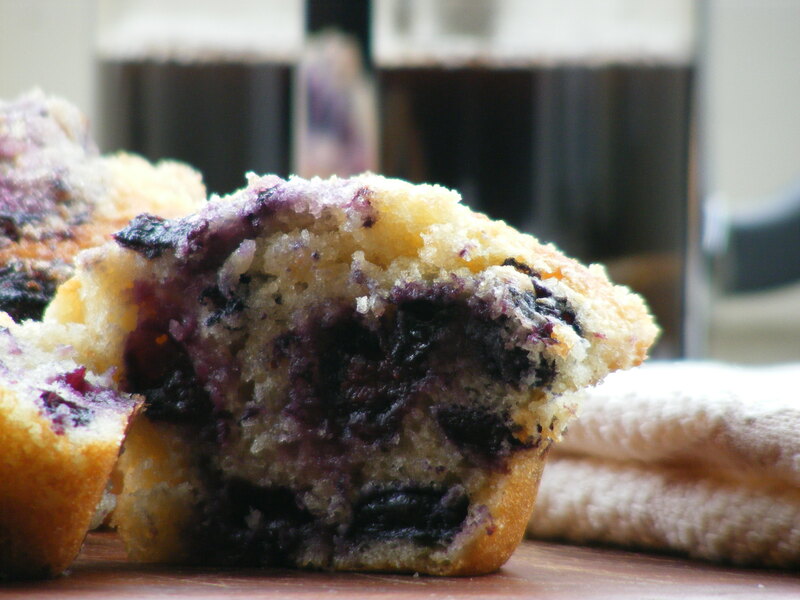 This blueberry muffin recipe (named ‘Best Blueberry Muffins’ by Cook’s Illustrated) is something else. It not only includes blueberries in the batter, but also a blueberry compote (homemade) swirled in and a lemon sugar topping. It has a very fine and delicate crumb and moistness to it from the blueberries. Sticky blueberry compote oozing out of the muffin adds to the indulgence. The verb ‘to ooze’ never sounded so appealing, don’t you think? The chefs at America’s Test Kitchen have created a little masterpiece. Because, in my opinion, this recipe really lives up to it’s name. 1. FOR THE TOPPING: Stir together sugar and lemon zest in a small bowl until combined; set aside. 4. Following photos below, use ice cream scoop or large spoon to divide batter equally among prepared muffin cups (batter should completely fill cups and mound slightly). Spoon teaspoon of cooked berry mixture into center of each mound of batter. Using chopstick or skewer, gently swirl berry filling into batter using figure-eight motion. Sprinkle lemon sugar evenly over muffins. Tip: If using frozen blueberries; allow to thaw completely. Cook 1 cup as directed in step 2. Rinse remaining cup berries under cold water and dry well. In step 3, toss dried berries in flour mixture before adding egg mixture. Proceed with recipe from step 4 as directed. ze er uit….maar dat niet alleen, je bent ook nog eens een uitstekende schrijfster!!! 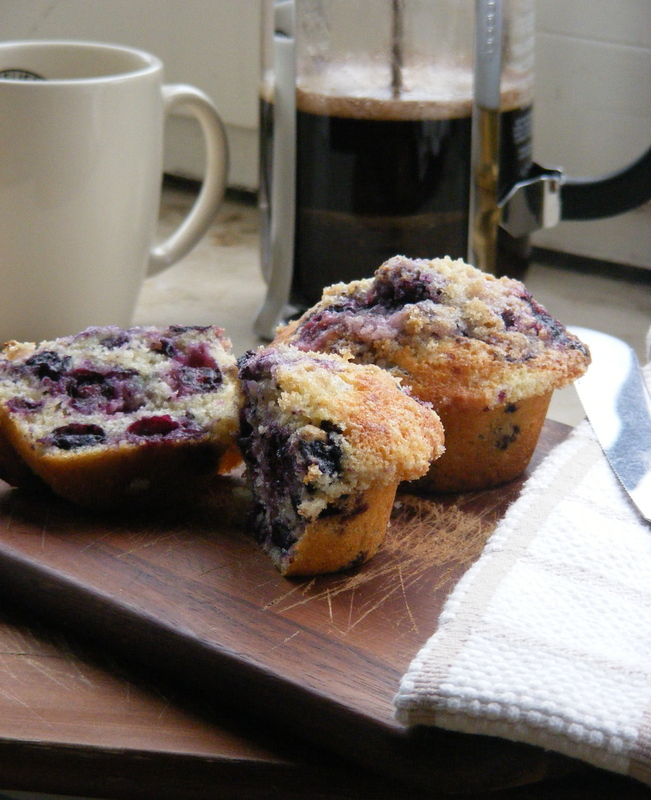 Those blueberry muffins look & sound wonderful….